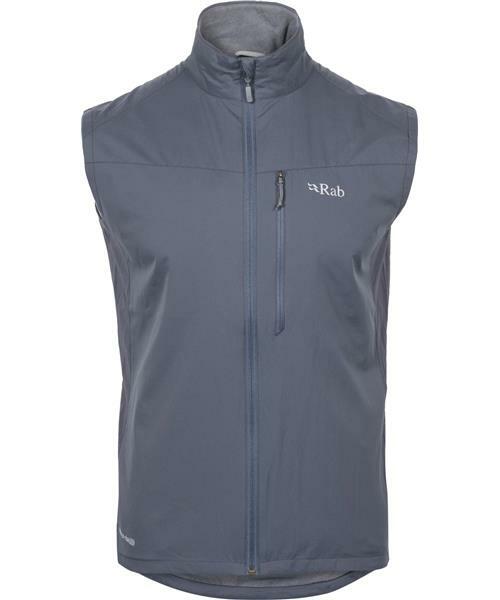 The Vapour-rise™ Flex Vest is a light-weight softshell vest with added stretch, designed to offer highly breathable protection, using a 2-layer system unique to Rab®. Developed exclusively by Rab® and Pertex®, Vapour-rise™ creates breathable, high wicking and quick drying performance clothing. The Vapour-rise™ Flex Vest uses a durable Pertex® Equilibrium outer fabric and a micro fleece liner to offer core-body warmth in cool summer conditions. Matrix SWS™ stretch side panels greatly improve the levels of freedom of movement in this vest. Technical features include a full length YKK chest zip, fitted collar and an integrated stuff sack. These features, combined with the unique Vapour-rise™ system, plus the added stretch, enable the Vapour-rise™ Flex Vest to provide breathable, core-body warmth across a range of outdoor activities.